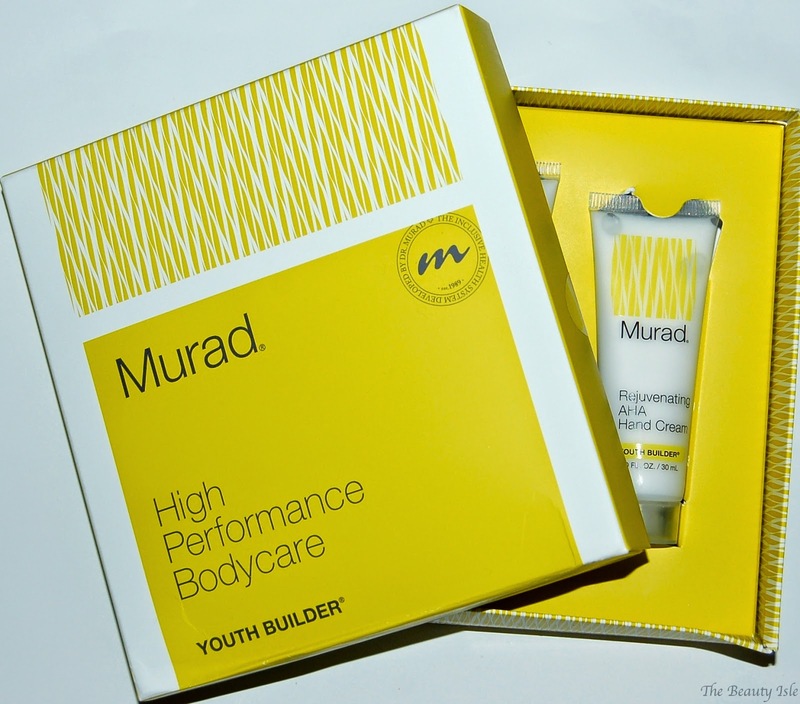 Today we'll be talking at-home pampering using the Murad Youth Builder Bodycare Preview Kit. 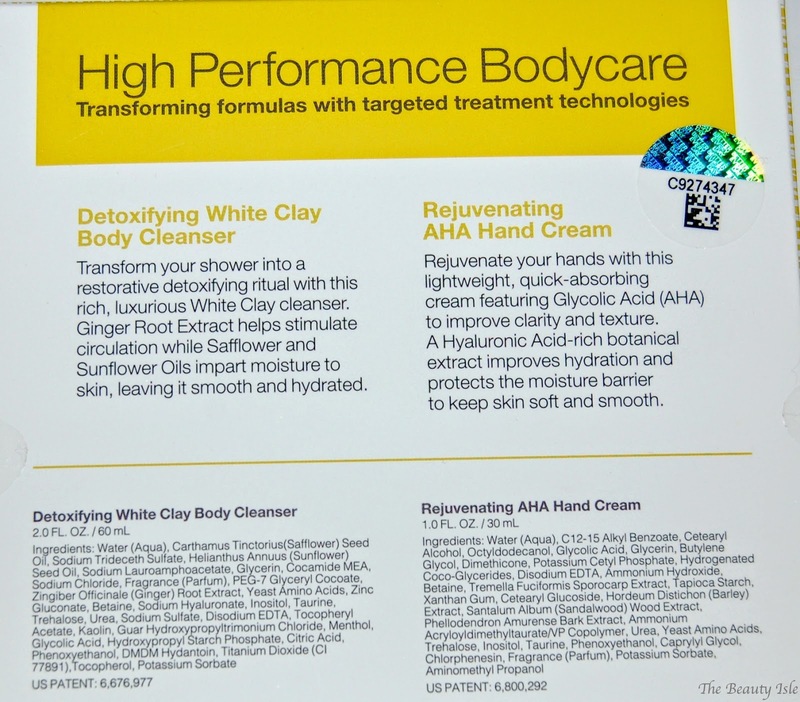 This kit comes with 2 deluxe sample size products, the Detoxifying White Clay Cleanser and the Rejuvenating AHA Hand Cream. 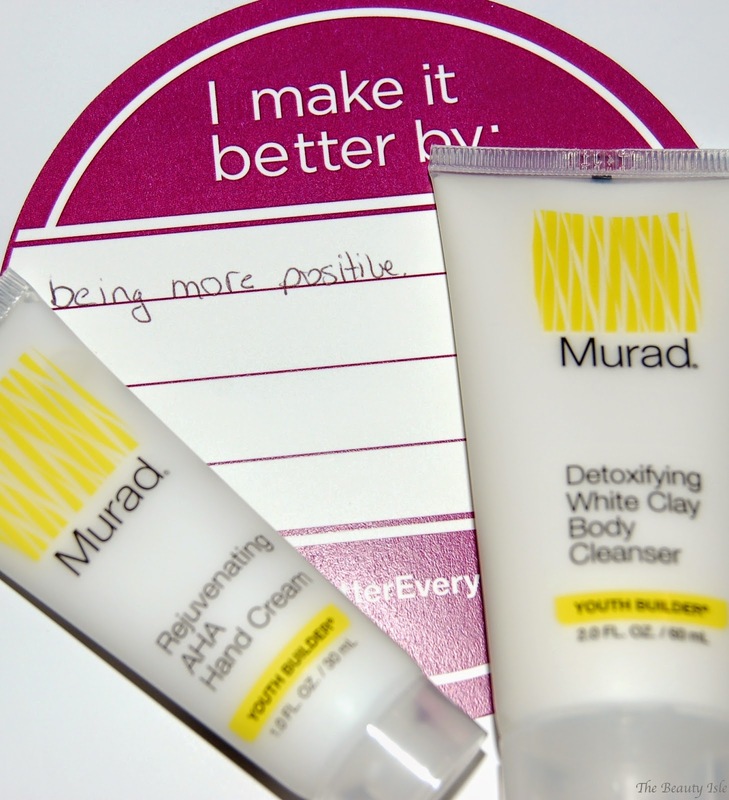 These products are part of Murad's new Youth Builder Line which includes ingredients that will strengthen, firm, smooth, and hydrate the skin for a more youthful appearance. 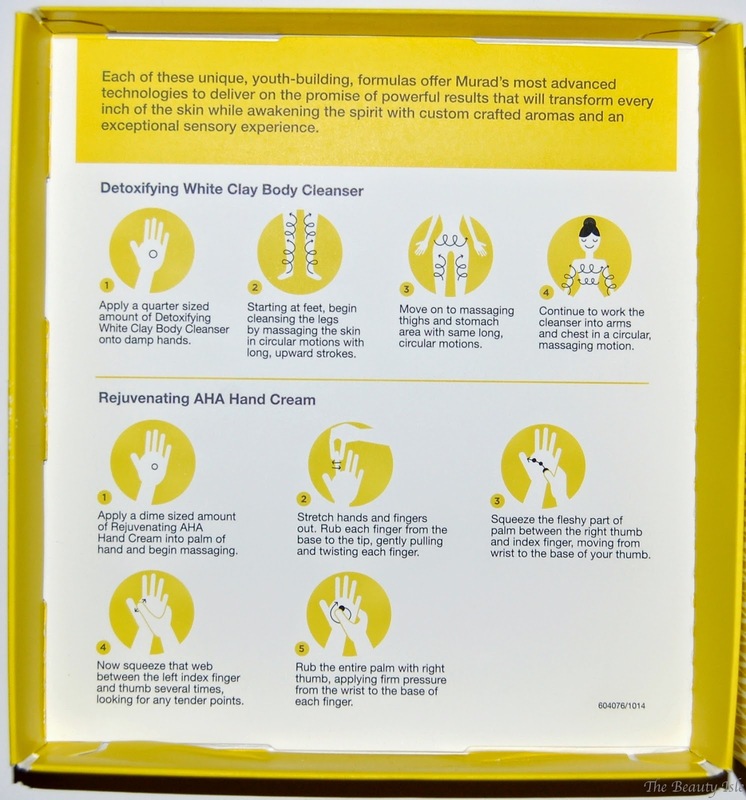 The packaging includes instructions on how to massage the cleanser and the hand cream into your skin. These products are perfect to incorporate into your at-home spa regimen. Personally, my at-home spa night is Sunday nights. I'm always so depressed on Sunday nights due to the upcoming work week so I love to pamper myself to feel a little better prepared to take on a long week. In the shower, I exfoliate my skin with a body scrub and then massage the Murad Detoxifying White Clay Body Cleanser following the steps shown above. After my shower I do my weekly mud mask on my face and then I moisturize. I apply a super moisturizing face lotion after my mud mask like the Murad Hydro-Dynamic Ultimate Moisture Cream. This stuff is light and makes my skin feel SO soft! I use it on nights that I'm feeling especially dry and I definitely use it after I apply a mud mask because those always make me feel dry. I apply the Murad Rejuvenating AHA Hand Cream right before bed (I keep it on my nightstand). I love that this product has Glycolic Acid since that has been proven to reduce the appearance of wrinkles. It's rare to find a hand cream that includes anti-wrinkle ingredients because not many people think about the skin on their hands aging. But in reality, my hands are often the most tan area of my body and could really use some anti-aging products so I appreciate this hand cream. Both the body cleanser and the hand cream have a very light citrus scent. 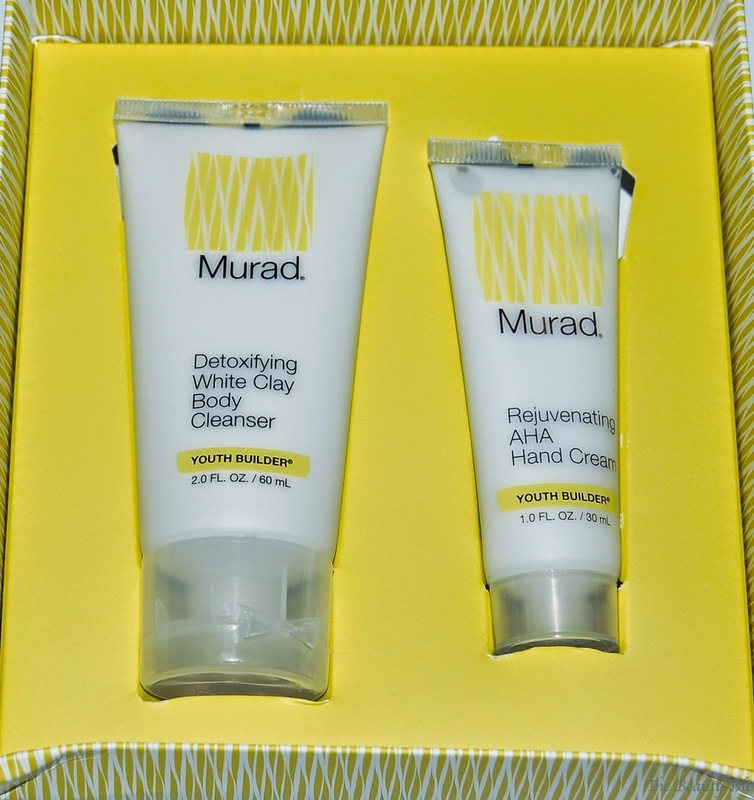 The cleanser ($26) and the hand cream ($25) can also be purchased separately on the Murad website. The preview kit is only $18 and can be purchase on the Murad website, here. The preview kit would make a great gift for anyone who's looking to pamper themselves with skin products that benefit the skin and feel wonderful! Valentine's Day is coming up so this would be a great gift! Now let's talk about Murad's motto, Better Every Day. I didn't make any resolutions for 2015 but one way I plan to follow Murad's motto is to try to be more positive. I tend to get pretty down on myself sometimes so I'd really like to try to be more positive and if something goes wrong, to not focus or obsess on it and try to move on and look at the positive. How will you make it #bettereveryday? There are so many great deals and free gifts going on right now on the Murad website! For a limited time get the Power Mask Set for only $25 at Murad.com! For a limited time get the Acne Mini Cleanser Set for only $25 at Murad.com! *I received these products for consideration. All statements are 100% honest and my own.